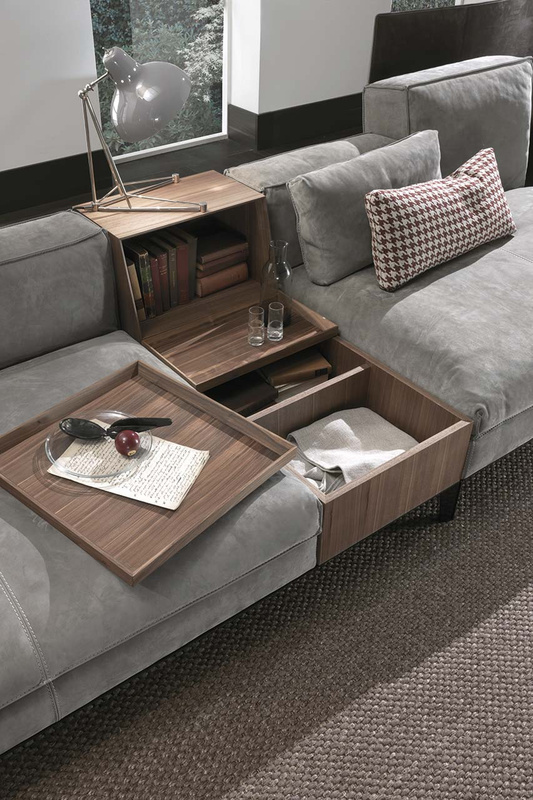 A joyful ensemble of volumes, partitions, tables, and hidden compartments: Taylor comes in two depths with or without backrest-raising mechanism, and can be made over in such a way as to be a continuous surprise: an exciting, customized set that reflects the aesthetic tastes and practical needs of households and ambiences. Rigorous yet soft. Geometric, but with surprisingly uneven shapes. 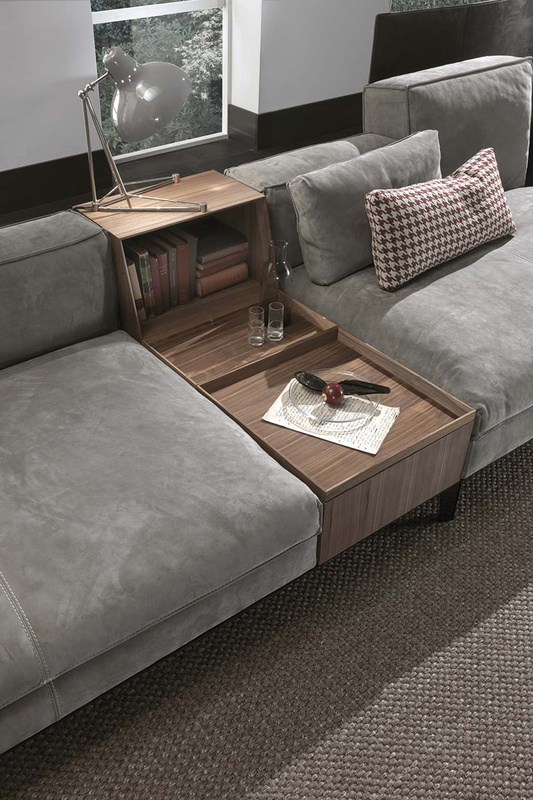 Proudly ranked among the true items of furniture, the Taylor sofa rests upon a cast aluminum base and can be enhanced with dividers and container units between seatings. 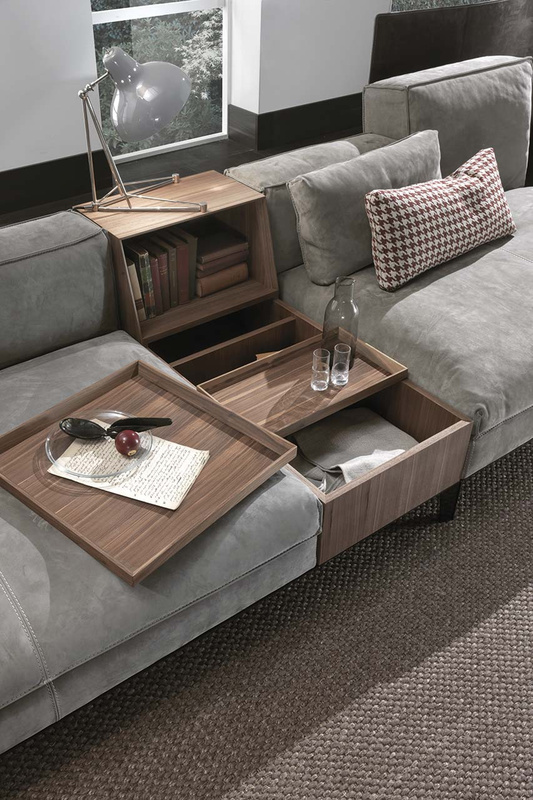 It can also be fitted with a wooden frame skirting the entire perimeter acting as handy surfaces bric-à-brac, bookcases, libraries, shelves, or even leather-upholstered coffee tables or sofa-matching furniture accessories.